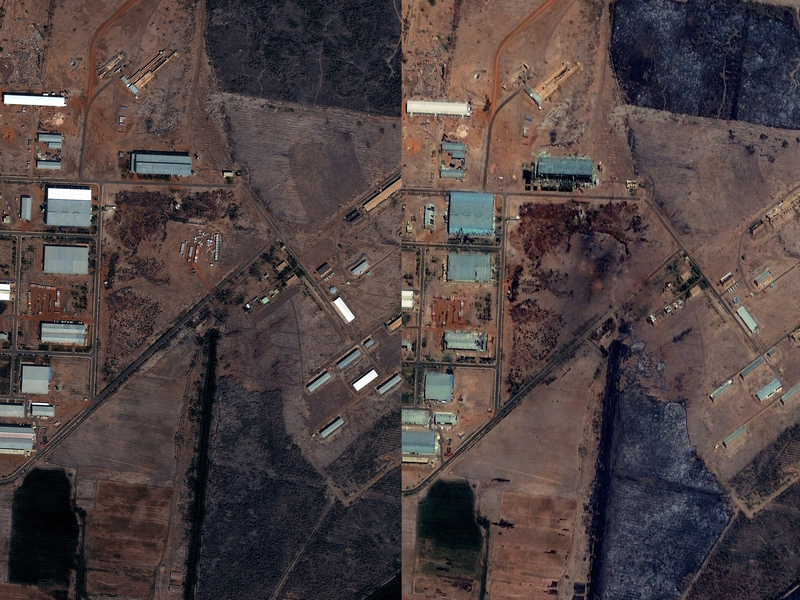 CAIRO A U.S. monitoring group says satellite images of the aftermath of an explosion at a Sudanese weapons factory suggest the site was hit by an airstrike. The images released by the Satellite Sentinel Project to The Associated Press on Saturday showed several 52-foot wide craters. A spokesman for the project, Jonathan Hutson, said military experts found the craters to be "consistent with large impact craters created by air-delivered munitions." Israeli officials have neither confirmed nor denied striking the site, instead accusing Sudan of playing a role in an Iranian-backed network of arms shipments to Hamas and Hezbollah.